Grantham is a market town in Lincolnshire dating from Saxon times or earlier. In the heart of England, it was the birth place of our first female Prime Minister. The town has always been in the thick of things! The Royal Manor belonged at one time to Queen Edith, wife of Edward the Confessor (1042-1066), and is mentioned in the Domesday Book as belonging to William I. The population of the town then was about 1300. The medieval wool trade made the town increasingly wealthy. On the Great North Road, between York and London, the town grew as a resting place for travellers. King Edward I stopped here in 1290, one of the 12 stops en route to Queen Eleanor’s burial. The King erected An Eleanor Cross here but it was destroyed in the Civil War. There is now a plaque shown on the left. By the peak of the stage coach era, 12 coaches were arriving at Grantham every day. 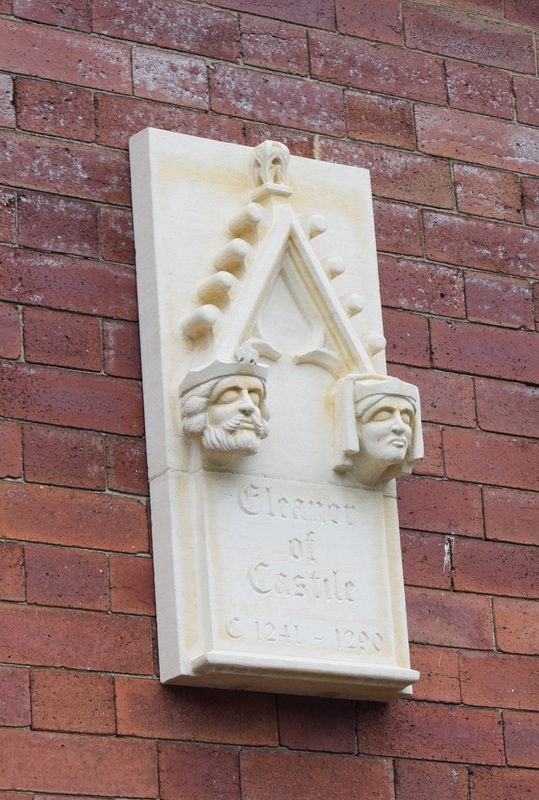 In 1463 Edward IV granted the Manor a Royal Charter conferring on it the status of a Borough. This was reward for supporting the Yorkists. In March 1643 Royalist forces captured the town, and the next month fought off a Parliamentary army at Ancaster Heath. But, in time Oliver Cromwell defeated the Royalists at Belton and Gonerby Moor, and successfully attacked and took the town. Cromwell then visited Great Gonerby and recruited troops for New Model Army there. The town was an important coaching stop. Later, in the industrial revolution, the canal and the railway brought industry and traffic. The ancient Angel Hotel remains and the George inn is now home to many shops, indoor shopping centres and a bustling Saturday street market. Baroness Margaret Thatcher, Prime Minister from 1979 – 1990, was born and lived here until she entered politics. There is a plaque above her father’s grocery shop. Sir Isaac Newton, the celebrated scientist, came from Woolsthorpe Manor , a National Trust property, near to the town. It now has a Discovery Centre illustrating his works. There is a statue of Newton in the town. The District Council organises a biennial Gravity Fields Festival on alternative, even, years. Sir Isaac Newton went to the Old School. Grantham Museum has exhibits on both scientists. 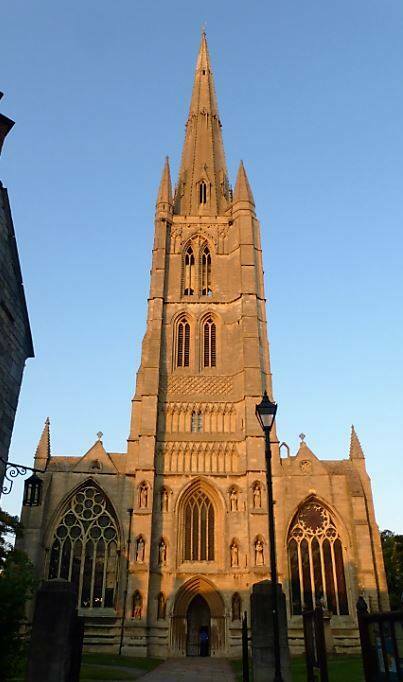 Founded in 1140 St Wulframs church spire is the 6th tallest in England at 282 ft high. The tower and spire are of almost equal height to form the third highest parish church in Britain. Built of Lincolnshire limestone, it is one of the most important in England. It seats 700 and is one of the largest medieval churches in the country. Inside and outside there is a gallery of carved stone heads, mostly medieval, including a hippopotamus head. 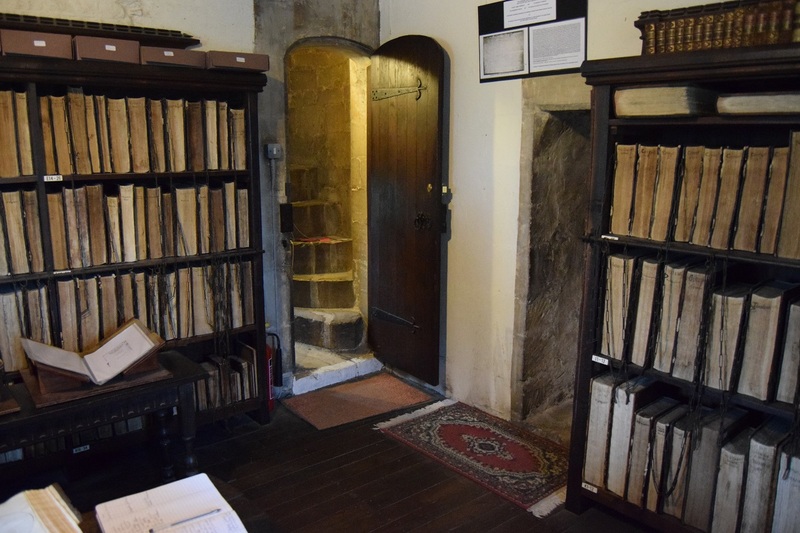 In common with Wimbourne Minster and Hereford Cathedral, the church still has its chained library. 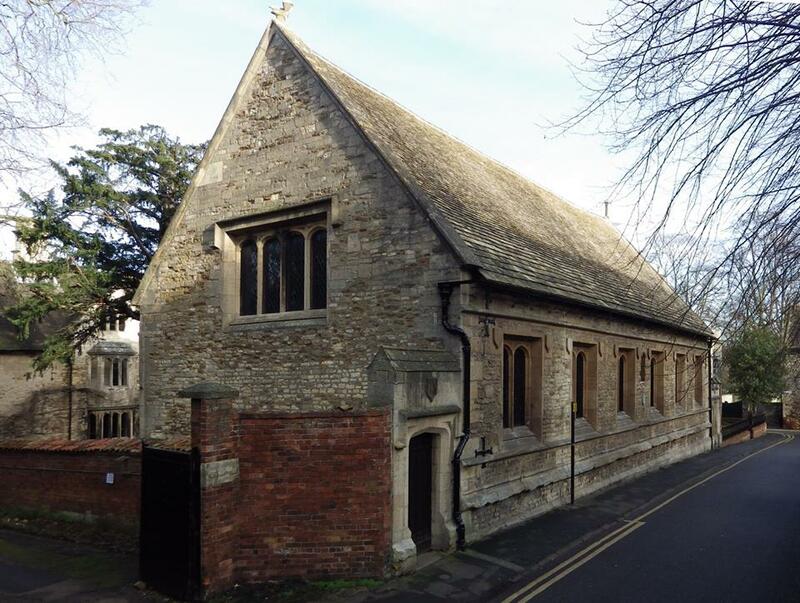 In 1598 Reverend Francis Trigge, Rector of Welbourn, gave £100 for the purchase of books to set up a library. There are 356 books, including a Venetian book printed in 1472, four years before Caxton introduced printing into England. Over 80 volumes remain attached by chain to the shelves. Guildhall Arts Centre is in what was Grantham’s town hall, goal and sessions hall. It has a Victorian clock tower and houses a lively arts centre and the tourist information centre. The Centre is host to professional touring shows and also local amateur productions. Wyndham Park commemorates the end of WWI. River Witham flows through the town and local places of interest include National Trust property Belton House, Easton Walled Gardens, Ellys Manor and Belvoir Castle. 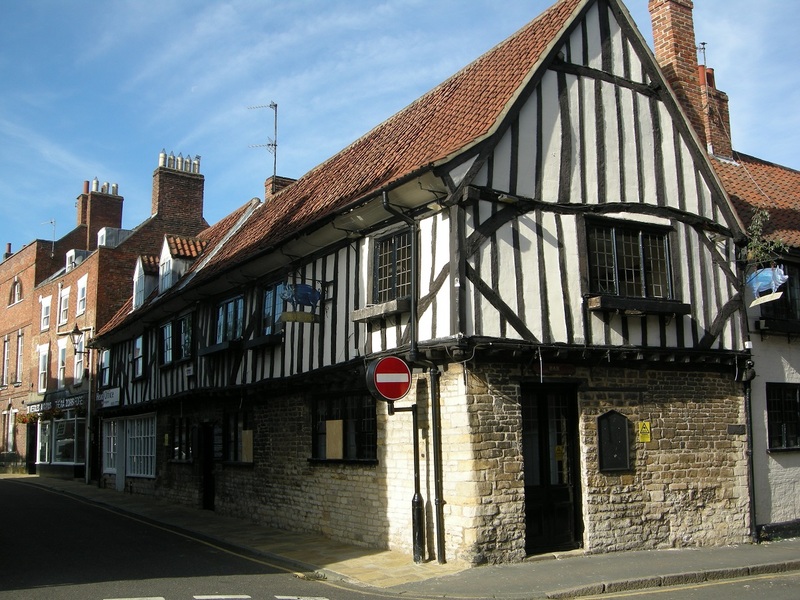 Below is the Blue Pig, C16th pub in the town. 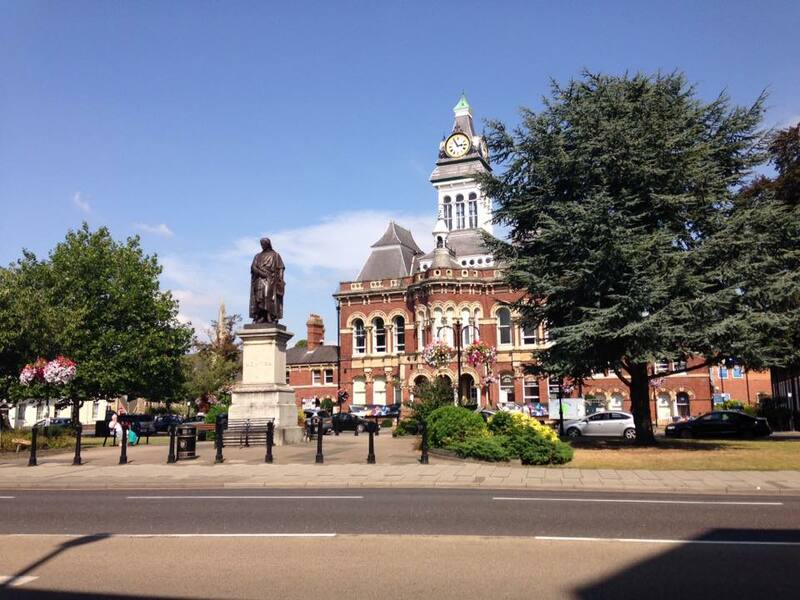 Grantham Civic Society has details of several blue plaques and signboards around the town. The Gravity Fields Festival every two years is an important part of the town’s life. It celebrates science, especially relating to Isaac Newton. Also, Grantham has the only Living Pub Sign in England, ‘The Bee Hive’, with an active hive producing honey. There are several Tudor buildings and many fine Georgian ones. Tourists often visit because of Isaac Newton and Margaret Thatcher. However, there are many other famous Granthamians. These include Arthur Storer, the first named astronomer in North America, and Colley Cibber, Poet Laureate. Also there is Edith Smith, the first police woman, and not to forget Nicholas Parsons! 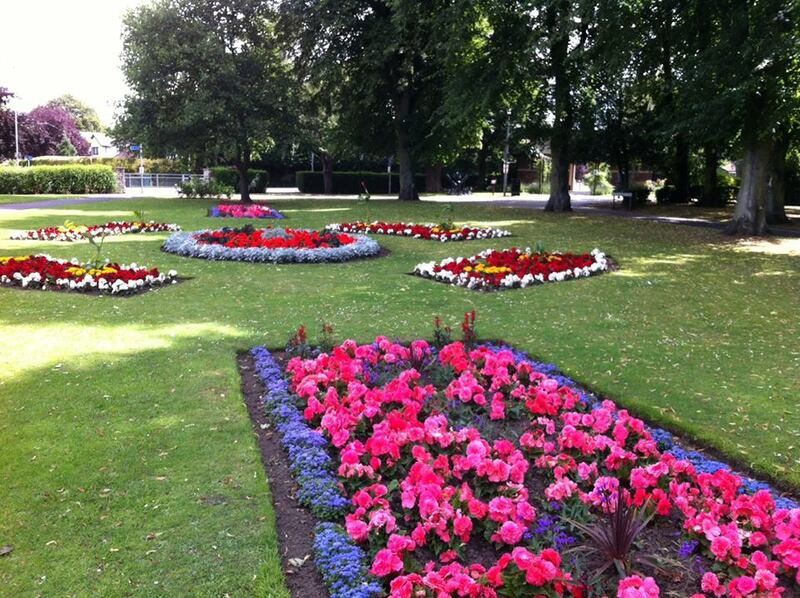 If anyone would like a guided tour, they can contact Grantham Civic Society. Before the canal, merchants transported goods to and from Grantham via the river Trent and by road. As road haulage was expensive, this made goods, particularly heavy goods, expensive too. Thank you to Ruth Crook, Grantham Civic Society and Grantham Museum.